In-Stock and available for same-day shipping, Print-O-Tape offers a wide variety of blank, thermal transfer and direct thermal label products to compliment all common on-demand thermal printers and print-and-apply systems. Our products are constructed using only premium grade materials, designed for optimal barcode printing and scanning. Our stock labels are available in roll or fan-folded form. 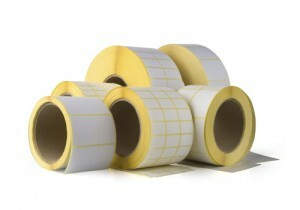 Print-O-Tape also stocks a large selection of DNP (Formerly SONY) Thermal Transfer Ribbons. Download PDF Listing of our Stock Label offering, or call our Customer Service Team at (847) 362-1476 for more information.